Cheap NJ Car Insurance - Save Money. Free Quotes. Need Legal Help for an NJ DWI or Moving Violation case? Saving money is important especially when it comes to car insurance. The good news is there has never been a better time to shop around for cheap New Jersey car insurance. We put the best rates and service right at your fingertips. Increased competition means savings for you! Drive away with the best deal on affordable NJ auto insurance Join the thousands of New Jersey drivers who have submitted free quote requests. It's quick, easy to do and could end up saving you money on your auto insurance premium. Secure affordable rates on top-rated NJ homeowners insurance from trusted, experienced insurance professionals located right here in the Garden State. 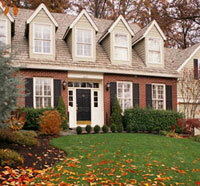 Obtain low rates along with personalized advice on all your home insurance needs. NJSave.com connects you directly with a licensed New Jersey insurance professional. This means you get some of the LOWEST RATES available along with expert advice and personal, courteous customer service. Will a speeding ticket increase my NJ car insurance premium? What about if I am in a collision with a driver who has no insurance. Am I covered? Our Insurance Frequently Asked Questions (FAQ) page has answers to many of the most commonly asked insurance questions. Need to find an NJ DMV office near you? Then check out our NJ Insurance Resource Center. It's free to all site visitors and has links to many insurance related sites. How Refinancing Your Mortgage Can Affect Your Homeowners Insurance – .... how to avoid having your policy cancelled. Underinsured Motorist Coverage – .... because you never know who's driving next to you!. Uninsured Motorist Coverage – important things to know on your auto insurance policy. What should I do if my car is stolen – find out if having a claim for a stolen car will affect your premium. Bus Insurance - Limo Buses, School Buses, Charter Buses, Shuttle Buses ... and more. You can be assured that your policy is underwritten by some of the most trusted and respected names in the insurance industry. Many New Jersey insurance agents represent several companies that want to compete for your insurance business. They "shop" for you to get the best possible rates. Use the easy customized NJ insurance quote forms to request a FREE No-Obligation rate quote on any of the insurance products offered. It takes less than a minute and could end up saving you important money on your insurance premiums. It's not all serious. Take a break and read our Insurance humor page for some light relief. NJSave.com - where New Jersey comes to save on insurance!